It is a large tree growing up to 30 ft tall, branches rough and spiny. The leaves are small, pinnately arranged, with 5 to 7 leaflets, up to 35 mm long and 20 mm wide. 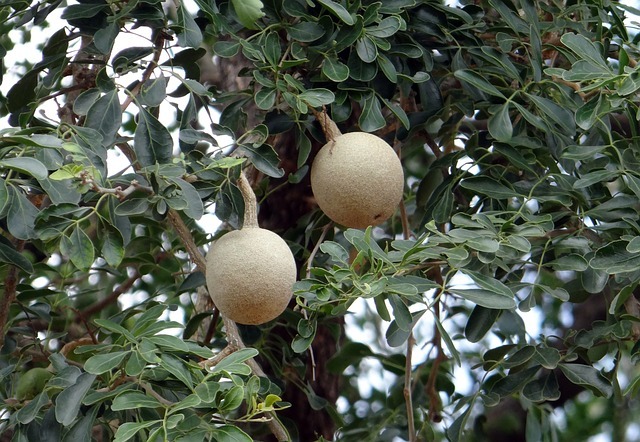 The fruits are berries, up to 9 cm in diameter, and it is sweet or sour in taste, hard outer, and contain a sticky pulp inside, contain small, white seeds. To treat gastric disorders like constipation, peptic ulcer, diarrhea, dysentery, indigestion, cure piles, respiratory problems.